Booth brings over 25 years of hospitality technology experience and is the former global vice president of property technology at Starwood Hotels & Resorts Worldwide where he led a diverse global team managing the strategy, innovation and operations of associate- and guest-technology. He also concurrently served as general manager of Starwood’s international licensing company, and previously as vice president IT EMEA. Since leaving Starwood after the acquisition by Marriott International, Booth joined his family in Berlin and began an independent consultancy within the industry’s vibrant technology start-up community including a mentoring role with METRO AG’s Accelerator for Hospitality powered by Techstars program. Booth together with David Turnbull co-founder and CCO, will take SnapShot to the next level of growth, providing enhanced data services for the hospitality industry and signals both readiness and value being placed on enhanced analytics and management tools. Funding from the Shiji Group is being used to help fuel this next stage of delivering affordable and scalable sets of services including data warehouse services, advanced analytics, and business intelligence to independent and boutique hotels and global management groups alike. Booth graduated from the University of Nevada at Las Vegas with a B.A. in Computer Science. He is very active in the hospitality technology industry having served on several industry boards including Oracle’s Hospitality Customer Advisory Board, Hotel Technology Next Generation (www.htng.org), Hospitality Financial and Technology Professionals (www.hftp.org). This press release was originally posted on Shiji Group's News Center. Click here to view the original. 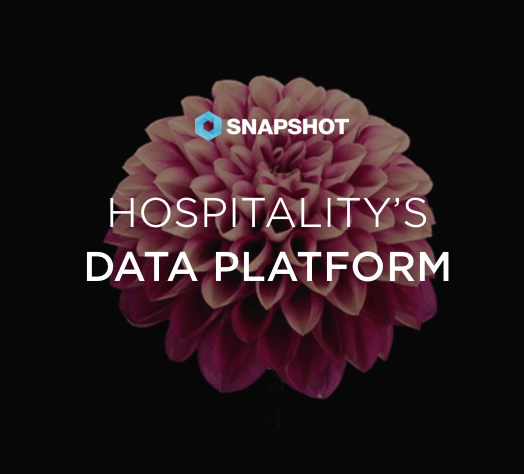 Founded in 2013, SnapShot is a hospitality data and application marketplace company for the hospitality industry, with offices in Europe, Asia Pacific and the United States. SnapShot has signed over 6,000 hotels to its platform, as well as over 45 different connected PMS systems. SnapShot On Demand brings in-depth data intelligence for hospitality management companies with a unique data warehouse-as-a-service offering. Bringing together all data enables actionable insights across multiple properties, regions and various systems, all accessible through custom reporting or dedicated API access, and integrated into your business intelligence tools like Tableau or those available through SnapShot Marketplace. Snapshot Marketplace offers a wide range of applications from SnapShot and third party developers. These include comprehensive hospitality data analytics, easy-to-use budget control tools and user-centric hospitality communication/messaging services. Founded in 1998, Shiji’s aim is to become a “big data” application service platform operator. Shiji has become the leading manufacturer of Chinese hotel information systems after three successful transformations. At the same time, Shiji is gradually expanding from hotel to catering and retail industries, becoming the major software supplier to both industries. Now, Shiji is responsible for approximately 60% to 70% of the market share in the high end sector of hotel and retail industries, and possesses a leading position in the catering industry. The estimated annual revenue of Shiji clients can be more than RMB 5 trillion. Shiji has completed three successful transformations since its establishment. It is now experiencing the 4th transformation dedicating to be a “big data” driven consumer application service platform operator. Shiji has introduced consulting, IT solutions and data platform services. Meanwhile, Shiji is developing worldwide leading products and technologies aiming for the international market and speeding up its globalization progress. Currently Shiji has more than 50 subsidiaries located in major Chinese cities and overseas markets (Singapore, Malaysia, Australia, United States, Germany, Spain, Poland and others) with over 3,000 employees. For more information, please visit www.shijigroup.com. Beijing Shiji Information Technology Co., Ltd.